What a week it has been since I ventured on a trip to Atlanta for the very first time in my life. Creating Change definitely left me richer in knowledge and friendships; met amazing individuals, and network with fantastic opportunities around the country. Here are some of my feelings I encounter during my stay. I could start with the tremendous success of the first latino institute at the conference and the impact it made all weekend long. A full room with over 130 participants of diverse latino communities across the country and the borders, filled the chairs with powerful ideas and voices.Our energy didn’t need translation since language was not a barrier but a beautiful melody played throughout the rooms; always understood & never neglected. Our traditions and medicine were not a coincidence that Thursday. 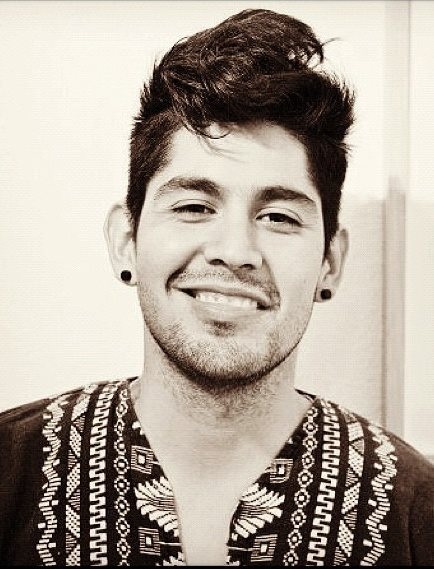 I was empowered to connected with undocumented youth from the south and learn on how they would like to see our LGBTQ Latino community more engaged and supportive. All of the workshops that I attended, the topics of Immigration, Family, Spirituality, LGBTQ Youth Services, Health Disparities and Activism in rural areas definitely made an impact on my ways of thinking. it was powerful enough to see familiar faces that recognized me and pushed me to attend different workshops, including grant writing and “fun-raising” strategies. Keeping it real, one of my barriers to attend the conference was the lack of money. I felt that it wasn’t as “Community Inviting” as I thought it would be. Meaning that Low-Income Queer people of Color should be aware of these tools and have some representation at this Conference. If it wasn’t for my noisy and curious self, and the part that I helped organize the Latino Institute and blogging here right now, the thought of paying hundreds of dollars to come here, wouldn’t have made me that interested to come at all. The Closing Plenary was something I was most enthralled to witness. One of the things we always fight in youth services, advocacy, or even within the Immigrant Youth Movement, is the so called “Linear Representation” that many LGBT organizations have fantasized, particular with DREAMers (political term for Undocumented Youth). The good moral character, the big non-profit organization with a name and a budget versus the grass-roots organizers, the ones fighting deportations, or even struggling to come to this spaces to represent themselves due to the lack of funding. Listening to Jose Antonio Vargas, Sousa-Rodriguez, Paulina Helm-Hernandez and Viridiana Martinez represent various organizations and types of work was something much need to decolonize within the concept of a “DREAMers”. When Jose called out Fredy’s name, and to see him rise in front of the hundreds of people present at the plenary, was indeed the most rewarding feelings. Weeks before the conference I outreached to Fredy because I believe in community engagement. He needed the help to get an attorney, and I was excited to see him being approached by some folks and hopefully to get good representation. He needs that ankle-bracelet monitor out of the way. Although I’m always “educating” with the “undocumented shield” ,to Correct a woman from their personal perspective and opinion, is something I grew up with in my culture. Something we still see everyday, and as queer privileged males, we need to step back and honor those spaces and check ourselves. “Living in the south people don’t know what Undocumented means, we need to take it back on own it, and stand up to what they’re familiar with, stand up, organize and show that we are no longer afraid. Yes I’m an “Illegal”, and I breath, and I bleed, and I’m as much human being as you are”. Martinez finished the interruption, challenging the other panelists and the audience by an outstanding ovation. Many of the advocates forget about this principle. We called ourselves the leaders right… But are we really making leaders? It is our obligation to invite those who are not as involved or visible. Those who haven’t had the experience. We don’t need to take up space if we lack the ability to inspire new minds in the struggle. I see brave bloggers and queer advocates, but I also see courageous women stopping deportations, challenging our culture and creating safe spaces all across the country, making art, making chants, organizing campaigns nationwide. So let’s not wait for our big organizations to speak for us and decide our messaging on what’s to come for this Immigration Reform circus. Take a stand, challenge your own consciousness, the time is now. Dehumanizing deportations and separation of families continue to happen every day. Are they less worthy than us? Previous Post Setting the tone: Crafting an Agenda for the Black LGBT Community.